Whether you need to buy an anniversary present, a surprise for a birthday or wedding gift, choosing unique presents is always a good idea. There are too many predictable gifts, and choosing another boring box of chocolates or pair of socks is simply too generic, and reveals that you put very little thought into choosing an item that the recipient would love. A present should always reveal depth of feeling, appreciation and be a special token that declares a message about your emotions for the recipient. Choosing a dull, thoughtless gift gives completely the wrong message to your loved one, and indeed it is often better not to buy a gift at all than to simply grab an item at random. The good news is that there are lots of exciting unique presents for all occasions available in stores and online for those who are prepared to put in the time and effort to source them. Here are some top suggestions for out of the ordinary gift ideas. Whether it is your partner, your parent, or your friend who is celebrating a birthday, choosing unique birthday gifts must be high on the agenda. Take some time to think about what the recipient would really enjoy or appreciate, as choosing a present that is really meaningful to your loved one will go a long way towards showing them how important they are in your life. Whether you are on a tight budget or can splash out on a lavish treat, there are all kinds of wonderful unique birthday gifts that will truly surprise the recipient, and the choices are almost endless. For those with a good sense of humor, why not buy a comedy book, or a themed gift like a TV character lamp or a pair of joke slippers. Alternatively, if the recipient is a wine connoisseur, a wine glass that holds an entire bottle of wine or a personalized bottle may be a good choice. Personalized birthday gifts always add an extra special touch to the day, so why not buy the birthday boy or girl a bespoke birthday plaque, with fun facts about the day that they were born, or a recreated newspaper from their date of birth. Handcrafted gifts are always particularly unique, either those created and designed by the giver or selected and purchased from a specialist supplier. A beautiful hand-glazed natural rose in a range of gorgeous colors, trimmed with opulent 24 karat gold is a striking and unique present for any birthday, and will act as an elegant memento of the special day. Many couples who are getting married draw up a wedding gift list to help their guests to choose a present that will be truly appreciated. Other couples however, prefer to be surprised with unique wedding gifts. Stay clear of the traditional tea towels or toaster and source something really out of the ordinary for the happy couple. A beautiful silver-dipped vase makes a stylish gift for any wedding pair, or a personalized present, such as a bespoke photo collage, an engraved pair of champagne flutes or a specially embroidered cushion with the happy pair’s names and the date of their marriage on it all make fantastic and unique wedding gifts. Many couples would love to receive a unique food or drink related gift. Gorgeous gourmet food hampers, perfect for a romantic picnic for two, or a fun cocktail making kit which will guarantee plenty of fun evenings together are just two excellent suggestions for unique wedding gifts. An anniversary is an important time in any couple’s lives, and the occasion should be marked with unique anniversary gifts that offer something completely different from standard or traditional anniversary presents. Gift experiences are fun and unusual presents for any anniversary couple, and with such a great selection of experiences available you are sure to be able to find one to suit the interests of the celebrating pair. From gourmet cookery classes to a helicopter buzz flight, and from a chocolate making course to a scuba diving lesson, what better way to create wonderful memories for any couple? 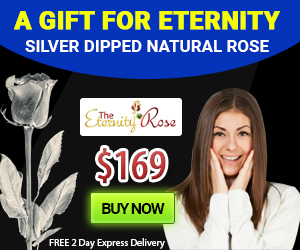 Anyone searching for a unique anniversary gift for their wife should consider buying an elegant real natural rose jewelry gift set. Comprising a pendant and earrings formed from genuine miniature roses, each set has been lovingly glazed by hand and trimmed with finest 24 karat gold to create a piece of jewelry that is also a true work of art. Each item is entirely individual, and you couldn’t find a more unique gift for your partner. Remember that choosing unique presents for your loved ones is the best way to be sure of finding a gift that will be truly memorable and that will mean the most to the recipient.